The cold and frigid winter months are here. Drivers need to make sure that their vehicles are equipped with the proper tires and N-Motion Auto Transport has some tips to help get prepared for the road ahead. Many believe that snow tires are the answer to taking care of a vehicle in cold climates but experts have shown that that isn’t the case. All-season tires are not only the most popular types of tires on the market, and for good reason, but they are also proving to be the most reliable. Auto experts suggest that when purchasing a new set of tires make sure that they are winter compatible (approved tires have snowflakes imprinted on the side). Now that the type of tire has been established, it’s time to find out which is the best for that specific vehicle. 99.9% of winter approved tires are NOT low profile, so don’t expect them to have that sporty look that many people are always worried about. Contact the automotive dealer or owner’s manual that correlates with each specific vehicle for further reference on which winter tires are best for the vehicle. Performance cars such as Ferrari, Lamborghini, Corvettes, etc. have daily tires that are in no way formulated to be efficient in winter conditions and require special tires for such an occasion. Owners of standard vehicle types need to pay special attention to tread and tire pressure much like the exotic vehicle owners. Be sure to always check tire pressure in everyday weather conditions but more so with the frigid winter environments. Overinflated tires can cause more wear on the middle of the tires and increase the chances of frequent replacement. When the weather dips at least 10 degrees, air pressure in the tire loses about 1 to 2lbs/sq. inch. This can be a major concern and should be monitored accordingly. Check regulations of the state – There is a portion of states in the nation that require snow tires or all weather tires (such as Pennsylvania.) Drivers can be fined for breakdowns on the side of the road if found negligent of maintaining proper equipment. 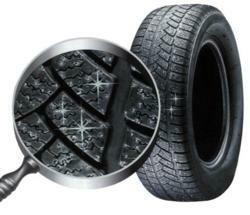 Do not decrease the tire’s air pressure – low air pressure in the tire can cause overheating and tearing of the tire. The old wives tale that has been told for many years says that decreasing the pressure will improve the tires traction on the icy roads. Do not believe those old wives! Check the tires tread – the tread on tires can be worn from many different contributing factors and should always be monitored for safety purposes. The rule of thumb is that 3/32 of tread or less can be much of a concern because the lack of tread can increase the chances of hydroplaning, along with other problems. Experts say that 4/32 remaining should be replaced due to only providing half of the traction of new tires. For all car shipping, auto transport and auto shipping needs, call N-Motion Auto Transport TODAY!